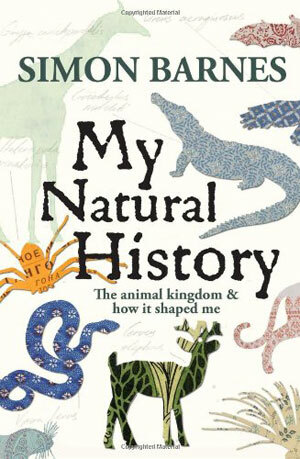 In My Natural History Simon Barnes, like a modern-day Gerald Durrell, weaves together the story of his life via the animals and the natural encounters that have shaped it. From the greater horseshoe bat that transported Barnes from the dull classrooms of his youth, to the great whale which marked the moment he knew he was going to be a writer, from Himalayan Kingfishers in India, to majestic lions in the Luangwa valley, each animal represents a piece in the puzzle of Barnes’s life. With its humour and poetry, every page fizzing with Barnes’s infectious enthusiasm, My Natural History cannot fail to delight and enthrall any lover of the wild world. My Natural History fizzes with verve, romance and delight. Few memoirs have been moulded around so inviting a conceit as this... a book whose appeal derives as much from the author's generous spirit as the story he is telling. Barnes brings the animal kingdom to life. this book will inspire people about wildlife.